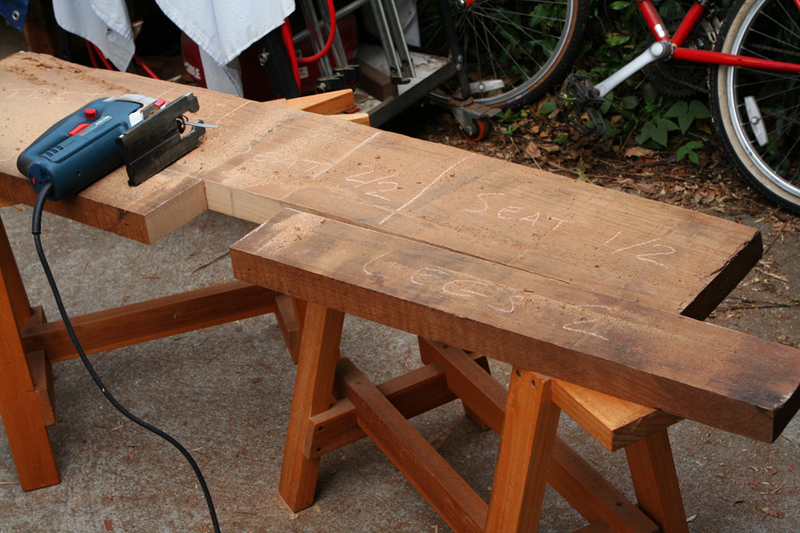 The seat blank is standing on the workbench. In foreground are blanks for legs. 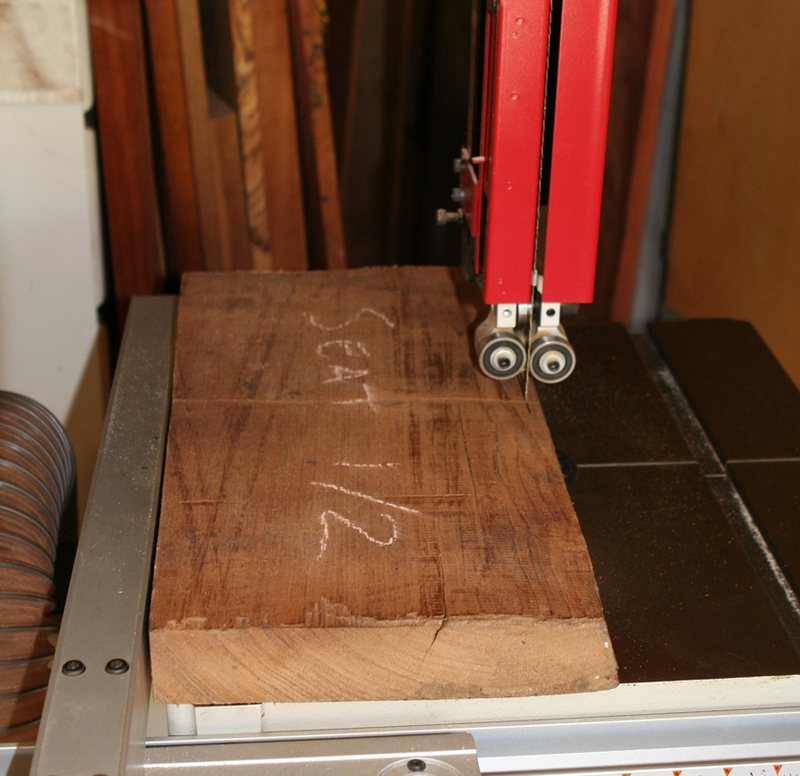 Several years ago I bought a plank of Chestnut from a Maryland lumber dealer. Several of these beauties were buried deep in their warehouse for many, many years. My friend, Jonathan, found them and shared a photo on FB. How could I resist? 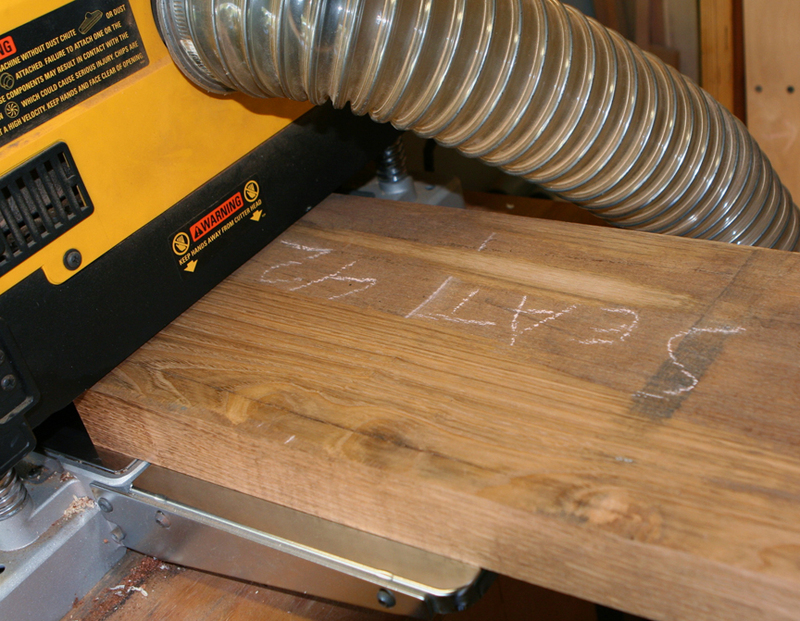 My intention was to make something using the full plank. Several years went by with zero detectable action, Finally, I decided this material needed to be put to use rather than languishing deep in our garage awaiting the perfect application. 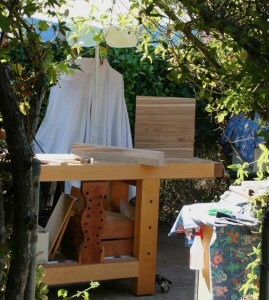 Stools and small tables are among my favorite woodworking forms as they present opportunities to work on joinery and design without taking too much room in our small home. 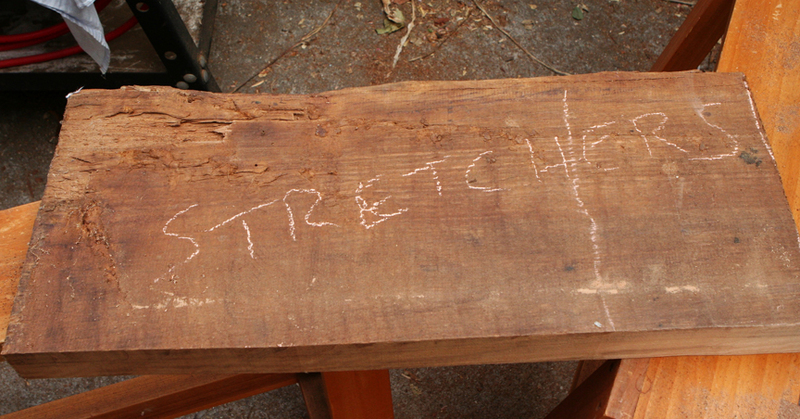 This plank yielded enough material for the seat, legs and stretchers. Cool. 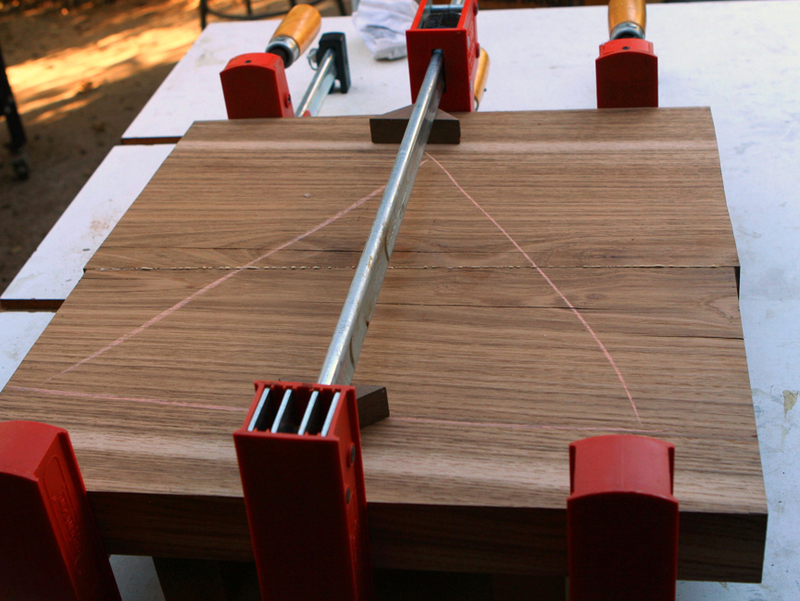 I cut out rough blanks with the jig saw followed by trimming at the band saw. 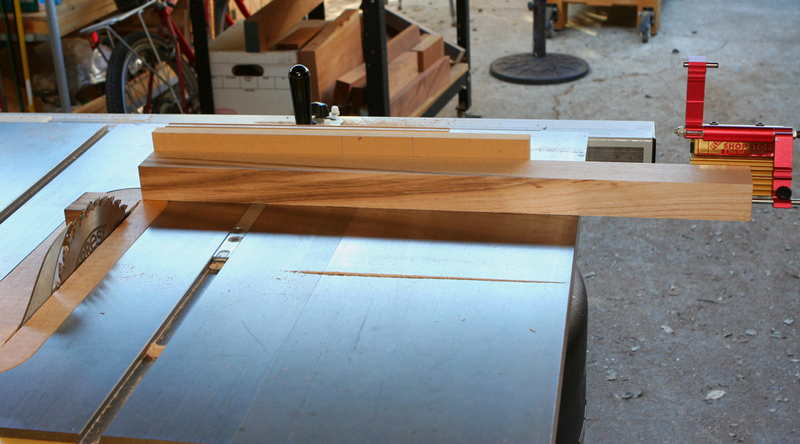 Seat blank glued up from two pieces and legs cut to initial dimensions.